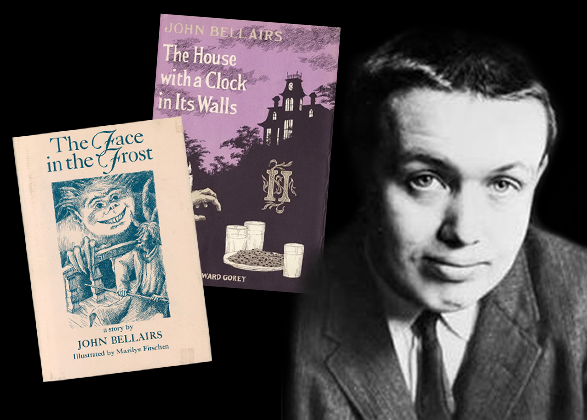 John Anthony Bellairs was born on January 17th, 1938 in Marshall, Michigan, which he described as “full of strange and enormous old houses, and the place must have worked on [his] imagination.” A shy and overweight child, he “would walk back and forth between [his] home and Catholic school and have medieval fantasies featuring [himself] as the hero.” He found refuge in books, excelling in college as an English major and even appearing on an episode of the TV quiz show G.E. 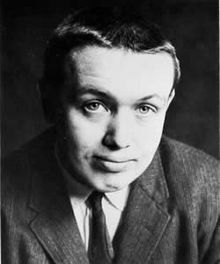 College Bowl in 1959, where he recited the General Prologue to the Canterbury Tales in fluent Middle English. After getting his Master’s degree Bellairs taught English at several colleges across the midwest before taking time off in 1967 when he moved to Bristol, England, for a year to concentrate on his fiction writing. Many years later a fan asked Bellairs about his time in England only to have him reply “I lived for a year in Bristol [England], and it was the most miserable year of my life.” Bellairs’s misery was everyone else’s good fortune though, as this is when he wrote The Face in the Frost. At first glance The Face in the Frost is a bit of an anomaly. In Bellairs’s own body of work it is his first and only fantasy novel for adults, and the only book of his cited by Gary Gygax in Appendix N. Bellairs began work on The Face in the Frost partly in response to J.R.R. Tolkien’s The Lord of the Rings. In contrast to the might and nobility of Gandalf, Bellairs’s Prospero and his fellow wizard Roger Bacon are rendered as more down to earth, crotchety, and occasionally downright fearful as they quest through an ever more eerie landscape. Whatever their foibles, Prospero and Bacon are notable as being among the handful of wizard protagonists in fantasy fiction up to that point, taking their place with de Camp and Pratt’s Harold Shea, Michael Moorcock’s Elric of Melniboné, Ged from Ursula K. LeGuin’s A Wizard of Earthsea and the magicians of Jack Vance’s The Dying Earth. Carter called Bellairs a writer of “amazing brilliance and charm” and commissioned from him a prequel story for a proposed anthology of juvenile fantasy entitled Magic Kingdoms. The Face in the Frost was published in hardcover by Macmillan in 1969, with quirky pen-and-ink illustrations by his friend Marilyn Fitschen that reinforced the alternating whimsy and mounting dread in the story. The Face in the Frost’s critical reputation got a big boost in 1973 when Lin Carter held it up in his study of modern fantasy Imaginary Worlds as one of the three best works of fantasy to be published since The Lord of the Rings. Carter called Bellairs a writer of “amazing brilliance and charm” and commissioned from him a prequel story for a proposed anthology of juvenile fantasy entitled Magic Kingdoms. Sadly, Magic Kingdoms went unpublished and no manuscript was found among Carter’s or Bellairs’ papers after their deaths, so the tale of how the “diabolic duo” of Prospero and Roger Bacon first became friends has been lost to time. 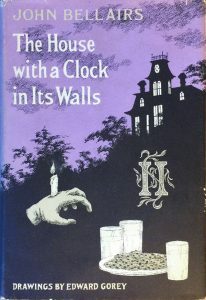 The modest success of The Face in the Frost was enough for Bellairs to turn to full-time writing, and his next work The House with a Clock in its Walls was also a dark fantasy. Supposedly Bellairs had difficulty selling the book until a publisher suggested rewriting it as a young adult (YA) book set in the fictionalized Michigan of Bellairs’s childhood. The House with a Clock in its Walls proved to be a huge critical and sales success, so much so that Bellairs became a full-time YA author for the rest of his career, completing a total of 15 books for young readers, most of which were illustrated by the great Edward Gorey. 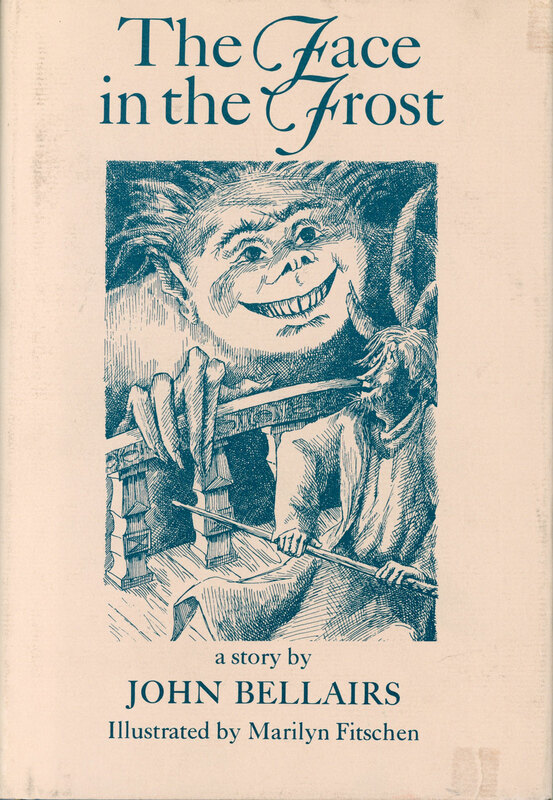 The Face in the Frost did not differ dramatically in mood and tone from Bellairs’s gothic mysteries for young readers, yet it was never re-marketed as a YA work to capitalize on Bellairs’s growing success. In fact, it languished in hardcover obscurity for nearly a decade until fantasy author Ellen Kushner, then an editorial assistant, persuaded her boss Jim Baen to acquire the paperback rights for Ace Books in 1978. Bellairs became friends and correspondents with Kushner and eventually sent her a typescript copy of The Dolphin Cross, an unfinished sequel to The Face in the Frost. Kushner urged Bellairs to complete the story, but he always put it off, whether from a perpetual lack of confidence in his work or because of the demands of his far more lucrative YA career. 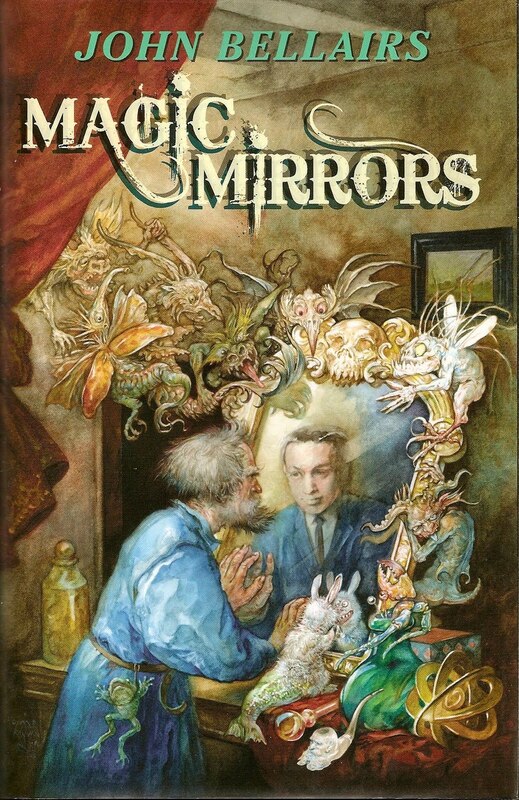 Fortunately, The Dolphin Cross was collected along with The Face in the Frost and Bellairs’s other works for adults in 2009’s Magic Mirrors: The High Fantasy and Low Parody of John Bellairs. It’s unclear when Gary Gygax first encountered The Face in the Frost, but it may have been fresh on his mind as he was writing Advanced Dungeons & Dragons. In the Players Handbook Gygax explicitly states that magic-users must consult their spellbooks in order to memorize their spells, which echoes Prospero’s habit of studying his spellbook at night before the next day’s journey and adventures. In contrast, the original Dungeons & Dragons rules merely say that a given spell (slot) may only be used once a day – no mention is made of memorization or spell preparation. Gary Gygax found much of the narrative and theoretical underpinning for D&D’s magic system in Jack Vance’s The Dying Earth, but The Face in the Frost may have helped to reinforce Gygax’s game balance choices. To the dominant Vancian strain and the acknowledged influence of de Camp and Pratt’s Enchanter books may we now add The Face in the Frost as a direct influence on the AD&D magic system? 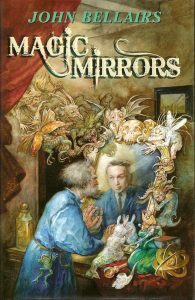 In any case, anyone who has ever played a first level magic-user in Dungeons and Dragons can all too readily identify with the humanity and vulnerability of Prospero and Roger Bacon, who are far from the archetypal wise counselors like Merlin or Gandalf nor are they as alien and sinister as the typical sword & sorcery magician.